I just started reading Quantum Night by Robert J. Sawyer, one of my top three favorite Canadian writers of science fiction. In the Acknowledgments, he mentions that he hadn’t published anything for three years due to the loss of his younger brother to cancer. That sad note got me thinking about my life’s milestones for reading and writing. Reading is an escape and a reward for me. Sometimes it’s a job. Through it all, I associate certain books with my development as a person. I wonder if you feel the same. Farmer Boy, by Laura Ingalls Wilder, made me grateful not to be born earlier in history. I didn’t think I could do better than the Hardy Boys Series as a kid. Later, Ian Fleming fed macho dreams of becoming a killer spy. Growing up in rural Nova Scotia, I couldn’t wait to escape to big cities. Books and movies fueled my teenage dreams of doing something different, of being someone different. I wanted a life that offered more choices and I was sure that, somehow, the life of a writer would make that dream come true. A boy trained by Martians in Stranger in a Strange Land taught me more about theme than any dry book report at school. That book also taught me that fiction can reach beyond being merely entertaining. Stranger in a Strange Land is about how to view the world through clear, innocent eyes. Hanging out in Spider Robinson’s Callahan’s Crosstime Saloon taught me science fiction doesn’t have to take itself too seriously. I met Spider a few times when we both lived in Halifax. Nice guy. He is his fiction. He tells fun, optimistic and humane tales. (Callahan’s Law: “Shared pain is lessened; shared joy, increased — thus do we refute entropy.”) Optimism isn’t quite my thing but I do try to hit hopeful notes or else, what’s the point? Even my apocalyptic stories have a lot of jokes. In my first year of university, I enrolled in a survey course about the philosophies of history. It was like a year devoted to Wikipedia, speeding from the Bible and Gilgamesh to Dante to interpreting the art of the Renaissance and well beyond. I learned a lot. The experience also gave me a humbling inkling of how much I didn’t know. At 20, The Way of the Peaceful Warrior felt like a revelation. Seven years later, it would feel trite. I couldn’t sense the magic anymore. I’d like to go back to enjoy Philip Roth’s Portnoy’s Complaint and Goodbye, Columbus. However, it’s a rare book that I read twice with the same level of enjoyment. You can only read Fight Club once for the first time. At 22, I moved to Toronto. I stayed with a friend for my first month in the city. I should have devoted all my time to the job and apartment hunt. All I wanted to do was read The Stand and It. And then everything else by Stephen King. Though I’d trained in journalism, my education about writing novels began with William Goldman. I was on the 28th floor of my apartment building on a summer night. I thought I was safely in the dénouement. Goldman ambushed me with a killer last line. I threw that book across the room as I shouted, “He got me again!” You know Goldman wrote The Princess Bride and many famous movies. Please read his novels. He’s the most underrated American novelist still living. Unhappy and angry at a rude co-worker, I began writing a short story. It was pretty much a silly revenge fantasy. A quarter of the way through I tore it up and threw it away. I didn’t want to be that guy. I gave up on all writing for years. Depressed and frustrated, I didn’t dream of becoming Jay McInerney anymore. At 28, it was too late to be a Boy Wonder. I told myself it was all too late. Find something else to obsess over, Rob. I still had no idea I would write thirty books by the age of 53. I got something out of the books I didn’t like, too. The pace of Margaret Atwood’s The Handmaid’s Tale was too slow for me but I loved Oryx & Crake. I don’t write off authors simply because they wrote one book that wasn’t for me. I love Kurt Vonnegut’s work and the man so much I made him a character in Wallflower, my time travel novel. I make time for reading because I love it. As a writer, reading is part of my job, too. The joy of good fiction is that it makes a movie in my head. One Christmas when I was very young, I received Chitty Chitty Bang Bang by Ian Fleming. As a snowstorm raged, I crawled into bed with that book and a tall canister of Smarties. I ate the candy and read about an inventor, his children, and their magical car. I felt warm and safe and transported reading that book. Every time I read or write, I’m trying to get back to that same feeling, that retreat from a raging world. Our world often feels broken and rageful now. It’s a relief to step back into fiction and get shelter from the storm. My teenage dream came true, by the way. I’m writing full-time. With a few adjustments and compromises, I’m pretty close to being the person I meant to be. And now I offer shelter. 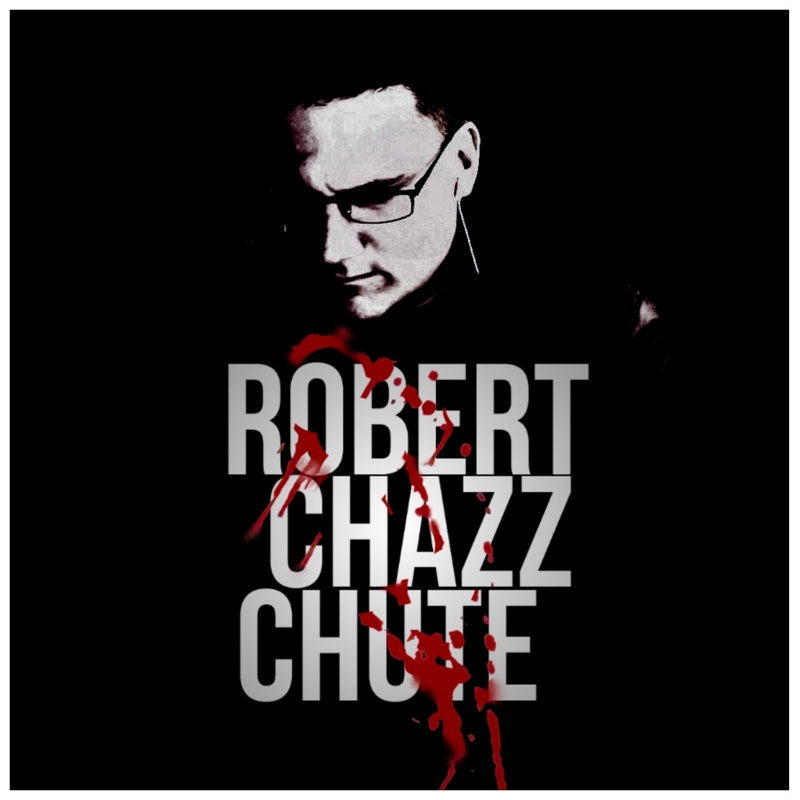 ~ Robert Chazz Chute just released a new apocalyptic trilogy called AFTER Life. 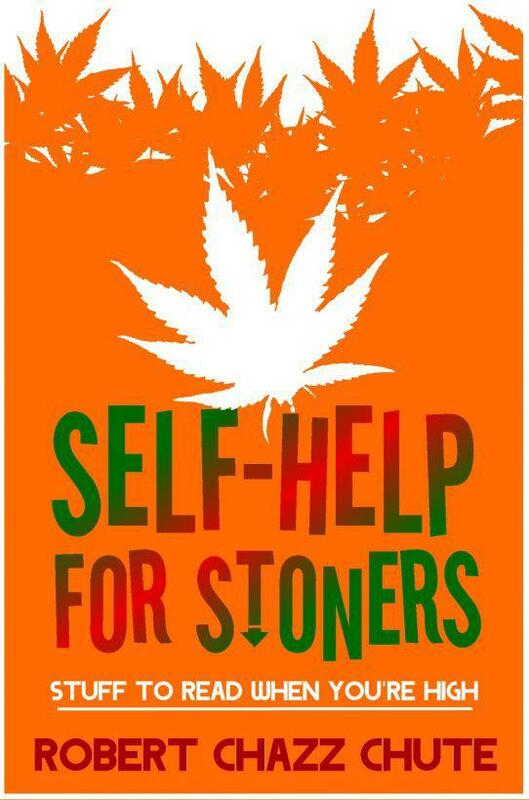 Check out all his books at AllThatChazz.com. I didn’t make up any of the following. I’ve observed it. 1. When Margaret Atwood writes dystopian sci-fi, it’s not dystopian sci-fi. If you wrote The Year of the Flood, you can be darn sure professional reviewers would call it dystopian sci-fi. Some special subgroup would think less of you for writing SFF, even if your work is as brilliant as Atwood’s work. 5. If a well-known author writes an homage to hardboiled fiction, it’s an homage to hardboiled fiction. If you do it, you’re plagiarizing Mickey Spillane. 7. You may have lived in Dublin all your life, but some reviewer will tell you your characters, “don’t sound Irish enough.” That’s because they think the cartoon presentation of Irish dialect in a cereal commercial is a documentary. Not all Irish people sound like leprechauns. Don’t worry about it. If you wrote it their way, you’d turn off too many readers with awkward depictions and hard to read dialect. And earn the wrath of all of Ireland. I like Amy Adams, but the movie Leap Year was an affront. Not a single Irish person had even a passing interest in particle physics, but the old men were all afraid of black cats. Nice. 8. You have a clever plot twist in your manuscript. That black sheep beta reader will rush to tell you he’s read that same twist in two books, so it’s a cliché. Back to square one for another rewrite. Never mind that the execution is different, all stories are similar in some regard and those two books he’s talking about were published before 1975. 9. Win a writing contest and somebody will spend a blog post on how undeserved the win was. They will claim they did not submit a losing entry into the same contest. However, the heat of their condemnation (a sun-surface temperature usually reserved for Nazis and pedophiles and Nazi-pedophiles) will reveal their jealous motives and their cowardly lies. 10. Someone will assume that, since you wrote a zombie novel, you’re a hack chasing money and trends. (And by “you”, I mean, “me.”) Never mind that I started writing This Plague of Days before there was a Walking Dead. I don’t chase trends and, while zombie readers tend to be rabid readers, it’s really a small sub-genre. I know few rich zombie writers, though I know several who deserve riches. Someone called my serial “clichéd.” I won’t say whom and no hard feelings, really. It actually struck me as funny. Say what you will (and I know some will.) But really? “clichéd?” I guess it’s virtually indistinguishable from all the other zombie books where the zombies aren’t really zombies, the vampires aren’t really vampires, the humans might be the supernatural players, bio-terrorists attack in very weird ways, three worldwide plagues evolve as the virus spreads across continents and, oh, yeah, the hero of my zombie apocalypse is an autistic boy with an obsession for Latin proverbs who sees auras and is a selective mute. Just like all the others. I guess what I’m saying is, no matter how many manuscripts you read professionally or personally, for consideration or for review or for whatever, don’t fall into cynicism. Come to each manuscript or book innocent and free of preconceptions. Give us a day in court before you condemn. You might fall in love. That happens, too. 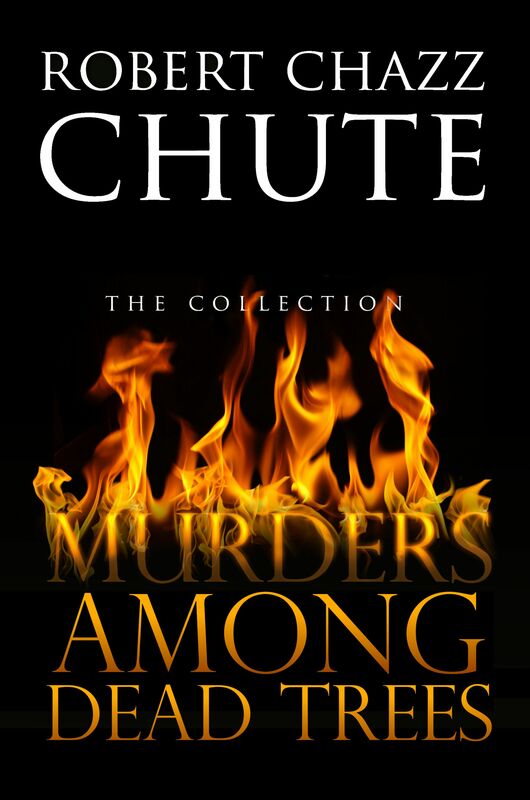 ~ Robert Chazz Chute writes a lot of books. Check them out and click those affiliate links at AllThatChazz.com. Season 3 of This Plague of Days and This Plague of Days, The Complete Series, launches June 15, 2014. Find out more about This Plague of Days at ThisPlagueofDays.com. Want a freak out? Here are some US publishing numbers on top distribution channels, most important factors in book purchases, top five book formats etc.,…. #Writers: How much should you tweet? This article in the Globe and Mail advises you drop tweeting from your schedule. The main point is, writers waste time tweeting when they don’t have something to sell. I’m not sure why anyone thinks a writer’s e-marketing time should be all or nothing. It’s probably useful to market to your audience, present or future. Your marketing time should not cut into your writing time. If it does, you either aren’t writing enough or not prioritizing. Blogging and tweeting to your market (present or future) should be a fun thing for you to do. If you don’t like it, then don’t do it. I tweet, but always during time that would otherwise be dead time (e.g. waiting for something, while suffering insomnia or during commercials when I forgot to PVR something.) I enjoy blogging about writing and I make time for it. As a result, I watch a lot less TV than I used to do. The Globe article suggests that it is often contests that curate bestsellers (especially in Canada.) Mm, yes, but what if you don’t write the sort of fiction that’s likely to even be considered by the Giller Prize panel? You can’t leave your book’s promotion to the whim of a handful of people, not when the power of the Internet is right in front of you. Do people follow you on Twitter and then buy your books based on those interactions? 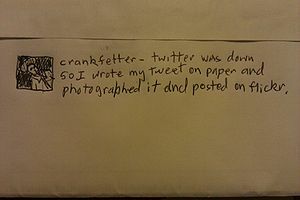 I bought a Scott Sigler book after he shot me a kind tweet. 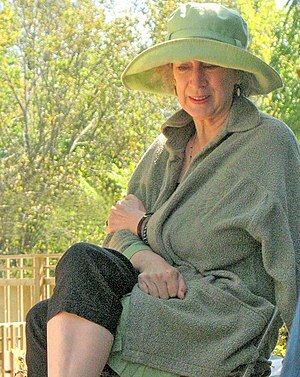 If Margaret Atwood alerted to her Twitter followers that she was holding a book signing at a particular bookstore, not only would they all get her message, that’s free targeted marketing to a group very likely to show up if they can. Is social media marketing the norm for book marketing? Answers: Yes, no and not yet. Yes, because it’s the cheapest way to go. No, because the are many authors and publishers out there who haven’t embraced the full power of social media’s potential. Lots of people still think Twitter is about letting people know about that spicy burger from lunch backing up on you. They don’t get that Twitter can push information you want to you (sometimes information you didn’t even know you needed.) And finally, not yet, because I wouldn’t count on that “no” remaining stable. 1. He was JD Salinger and we aren’t. 2. The world (and the world of publishing) has changed drastically, even among those who are reluctant to embrace new models. For instance, the number of book sales reps has plummeted. Interactions through Twitter and Amazon Reviews and Blogs and search engines: All that technology has turned up the volume on the marketing environment so it’s hard to hear the tiny books by unknown authors who aren’t stepping up to speak for themselves. Yes, I know you have lots of books on your shelves and most of your buying decisions were not influenced by anything you saw on Twitter. You’re right. But as e-books flood the market from self-publishers, you won’t be right about that for long. Build your following now so when you do have something to sell, you’ll have lots of people to spread the word. If you don’t begin to market yourself until you have a book to sell, you’re already late. First I have to buy in to you. Then I consider your product. Twas always thus, but now more than ever. Concentrate. Head down. Claws on keyboard. Teeth gritted. Weiner untouched. Fast-paced terror, new threats, more twists. Suspense to melt your face and play with your brain. Action like a Guy Ritchie film. Funny like Woody Allen when he was funny. Jesus: Sexier and even more addicted to love.